I believe we all have a calling—inborn and God-given—to do with our lives what makes other people’s lives better. Of course, not everyone hears this call because not every one listens. My friend, Heather, listened. I’ve known Heather since we were children. To describe her is to describe joy. Although most of my memories of her are tightly tangled up with her laughter and kind spirit, my keenest memory is that Heather knew who she wanted to be since she was a small child. In elementary school when we all wanted to be a princess or in middle school when we all wanted to be an actress or in high school when we all wanted to be a doctor or a lawyer, Heather wanted to be a mom. This need (for I feel it always was a need for Heather) couldn’t be satisfied with baby dolls and pretend play. She wasn’t interested in the cute, tiny outfits or the adorable accessories. Heather wanted to mother because she is and has always been inherently nurturing. Heather wanted children not to change her life but to change theirs. And changing lives is exactly what Heather is doing alongside her husband, Tommy, and their four children. It is one small but significant life to be exact, and his name is Samuel. 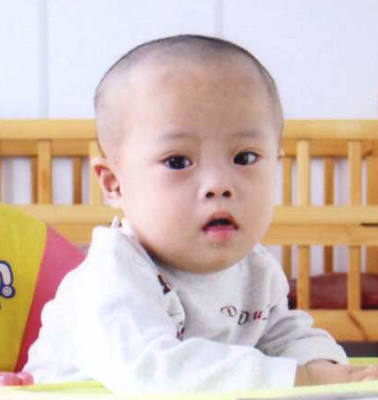 Samuel is a special needs child from China who the Umstead family is working very hard to adopt. Looking at a picture of Samuel, it’s easy to see his sweet smile and beautiful dark eyes. What the picture doesn’t show is that Samuel needs a home. Like all children, he deserves stability, protection, and above all, love. And Heather and her family want nothing more than to give this to Samuel. Adopting a child, especially one with special needs (Samuel has Down’s Syndrome) is expensive, time consuming, and challenging. The cost to adopt Samuel is $35,000 and the trip to bring him home is $14,000. It’s no small feat, but it’s one that Heather and her family are facing with conviction and determination. With their faith in God, the love of their family, and the support of their community, the Umsteads have worked tirelessly since March to earn this money. The fund raising events have included bingo, an online lottery, two yard sales, a t-shirt sale, kid’s book party, and a softball tournament. The family still needs to raise $10,000 to bring Samuel home. To anyone who knows Heather, it’s not surprising that in her mission to save a child she would cross cultural barriers, overcome financial challenges and even reach across an ocean. What may be surprising to some is that Heather who has four children with her husband, Tommy, seemed ready to settle into the next phase of her life not begin again with diapers and sleepless nights. It may have been surprising even to Heather who told me that she and her husband looked forward to independence with each other. They even planned a trip for their 25th wedding anniversary. God, however, had other plans. 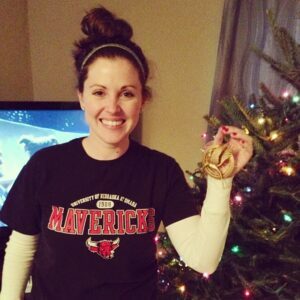 Heather told me it was a year ago that she was made aware of a need she was equipped to fill. And that is when the seed was planted in the hearts of her and her husband. In her prayers, Heather told God if He needed a momma to give to a special child, she was his girl. God could not have chosen better, and so began their journey. Happily traded were the anniversary trip, little luxuries, and the freedom that comes with grown children for the love of Samuel. Because there are so many children who need this love, I asked Heather how she chose him. She told me she considered domestic adoption, but there was a long waiting list. She also didn’t want to take a baby from someone who had never experienced having one. So she continued her search internationally where she discovered there was an even greater need in other countries to find homes for “less than perfect” children. Heather was uncertain, though, how she would know which child to choose. She told me the advice she received from other families who’d been through the process was that she would just “know.” Heather says this is exactly how it happened. After reading Samuel’s story, Heather was heartbroken, but she also “knew” that this was her child. She says she doesn’t judge his mother because she doesn’t know her story but she does want others to know that this child is loved even halfway across the world and he is a blessing to the Umstead family, having already grown in their hearts. The truth is and I think Heather would agree that she didn’t choose. God did. Although many have provided information, donated money and/or helped with fundraising, the help Heather asks for on this journey is prayer. As her friend but also as a mother, I, too, ask for prayers that through God’s grace and other’s generosity and kindness the Umsteads can finally bring their child, Samuel, home so Heather can do what she was called to do—mother. I'm a widow, but where's my black veil?